Finding the right cure or remedy for lower back pain is a lot harder than you’d think. First you have to reduce the swelling in your back, and only then can you treat whatever is causing the pain and swelling in the first place. Thankfully, you may just find that a bit of turmeric can help you get on your feet again! Turmeric is a spice that comes from Asia, particularly the Indian subcontinent. It is used in many dishes in India and Southeast Asia, as it has a delicious, spicy flavor that goes well with just about every type of meat and vegetable on the planet. But it’s not just useful for its flavor. It can do wonders for your health as well, particularly the pain you are experiencing in your lower back. How can it help? 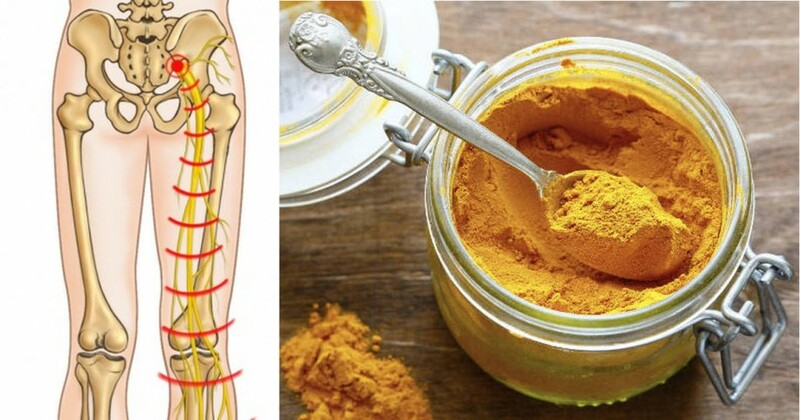 According to one study published back in 2009, curcuminoids–compounds naturally found in turmeric–has protective properties that can help to protect the nerve cells in your back(1). For those who are suffering from sciatica injuries, the curcuminoids can not only help to reduce swelling, but they will protect the nerve cells from being damaged and degraded. 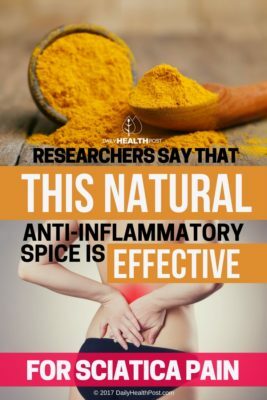 Turmeric is known to be an effective anti-inflammatory agent, meaning that it can help to prevent and reduce the swelling that is causing your lower back pain. It can not only deal with swelling caused by acute injuries, but also chronic inflammation caused by permanent or long-term damage to the sciatica nerve or the spinal column (such as in the case of a slipped disc). How does it work? Simple: turmeric stops the production of certain enzymes in your body. These enzymes are responsible for the inflammation that accompanies the sciatica injury. By preventing the enzyme production, you reduce swelling and speed up the healing process. Note: Turmeric alone is EXCELLENT at reducing swelling, but bromelain (which comes from pineapple) and piperine (which comes from black pepper) are also effective. If you can find supplements that contain all three ingredients, you have a much better chance of dealing with the swelling!